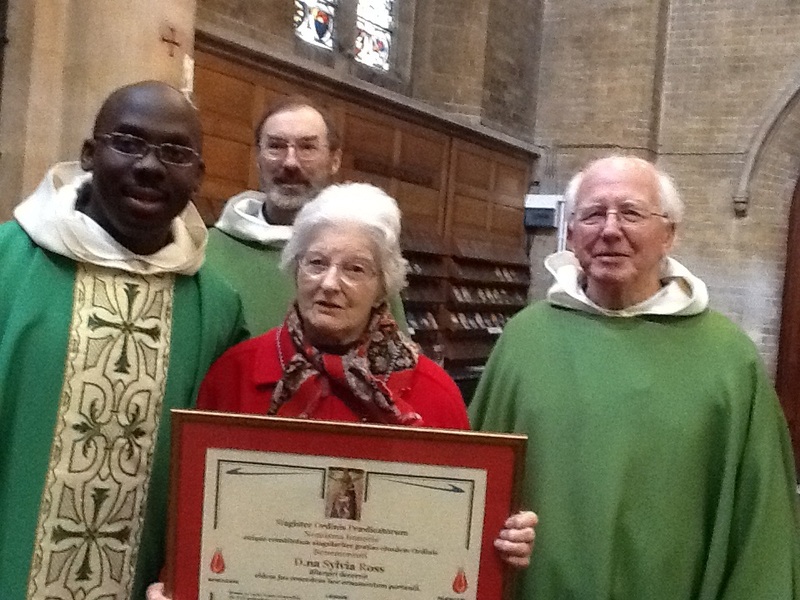 On Sunday 12th February, Sylvia Ross OP, a member of the London Fraternity, was presented with the Bene Merenti medal for her committed services to the Dominican Order. Fathers Richard Conrad and Fabien Radcliffe presented the medal and a beautifully mounted Certificate signed by Father Bruno, the Master of the Order to Sylvia during Mass, and Sylvia was warmly congratulated by her friends from the London Fraternity and the entire congregation. 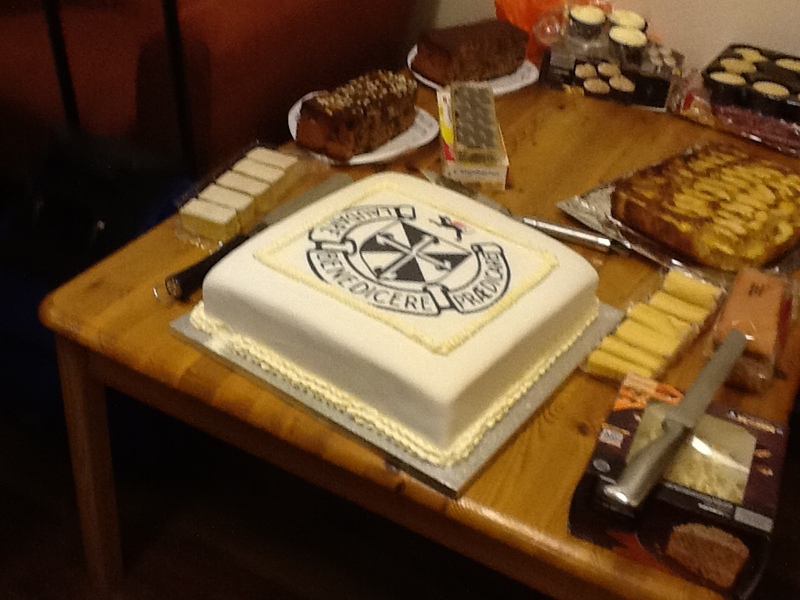 There was a celebration party following the Mass in the Church Hall and Sylvia enjoyed seeing so many friends. This was a complete surprise for her and was arranged by Lionel Carriere, the Fraternity President. For thy poor and lowly band. Love is the fulfilling of the law, and Dominic, the preacher of God’s law, was consumed with the fire of love. In all his actions his love for God appeared and his constant prayer was that he might have true charity and love God purely for His own sake. From this love sprang that ardent desire to suffer for God which made him a martyr in spirit. So deeply was he moved by the love of Jesus Crucified that he longed to die for Him. His life of generous self-sacrifice proved his love sincere. As a youth he sold his only treasure—the books from which he studied—to feed the poor. His life was entirely devoted to the hardest apostolic labor, traveling far and wide to seek the lost sheep of the Good Shepherd and braving every kind of danger. His prayers for souls were continual, and daily he did penance for sinners. The one object of his Order was the salvation of souls. Throughout his life he preached to the heathen hoping for martyrdom. He had compassion for the suffering and misery of others. To all he was gentle, kind and merciful. The Eucharist and the Mother of God were objects of Dominic’s special devotion. Before the tabernacle he spent his nights, finding there rest after his labors; and arriving weary and foot-sore from a journey, he always visited the Blessed Sacrament before refreshing his body. However much fatigued, he always celebrated Mass, and if possible sang it. During the celebration of Mass tears were often seen flowing down his face, moving all to devotion.